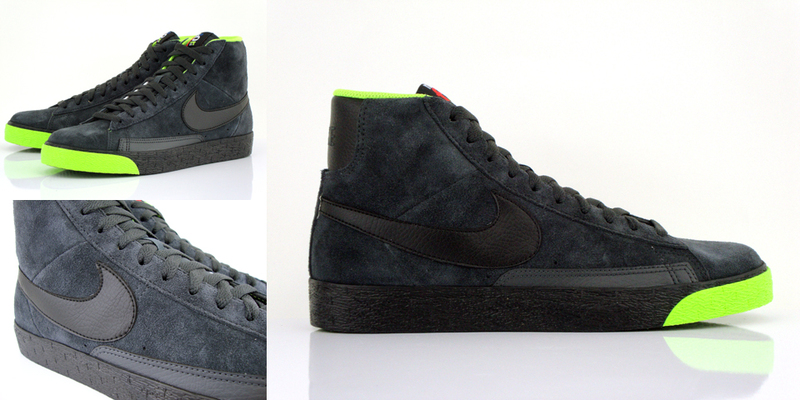 Available this month is this all new colorway of the Nike Blazer SP. The always popular Nike Blazer SP is sent our way yet again this month, arriving in this extremely favorable suede build. The all suede construction might be something made popular by Nike SB, however this latest Blazer SP pulled off the look quite well, working with the perfect combination of colors. Most of the upper is claimed by anthracite grey suede, along with a touch of black leather working on the Swoosh, and ankle badge as well. Electric green adds some life to the look, taking place on the sockliner, tongue branding, and combines with black on the vulcanized sole below. This very impressive make up of the Blazer SP is now available at select Nike Sportswear retailers nationwide.